TruthDig.com editor's note: In light of the recent fighting in Gaza, Truthdig asked Chris Hedges, who covered the Mideast for The New York Times for seven years, to update a previous column  on Gaza. Can anyone who is following the Israeli air attacks on Gaza-the buildings blown to rubble, the children killed on their way to school, the long rows of mutilated corpses, the wailing mothers and wives, the crowds of terrified Palestinians not knowing where to flee, the hospitals so overburdened and out of supplies they cannot treat the wounded, and our studied, callous indifference to this widespread human suffering-wonder why we are hated? Our self-righteous celebration of ourselves and our supposed virtue is as false as that of Israel. We have become monsters, militarized bullies, heartless and savage. We are a party to human slaughter, a flagrant war crime, and do nothing. We forget that the innocents who suffer and die in Gaza are a reflection of ourselves, of how we might have been should fate and time and geography have made the circumstances of our birth different. We forget that we are all absurd and vulnerable creatures. We all have the capacity to fear and hate and love. "Expose thyself to what wretches feel," King Lear said, entering the mud and straw hovel of Poor Tom, "and show the heavens more just." Privilege and power, especially military power, is a dangerous narcotic. Violence destroys those who bear the brunt of its force, but also those who try to use it to become gods. Over 350 Palestinians have been killed , many of them civilians, and over 1,000 have been wounded since the air attacks began on Saturday. Ehud Barak, Israel's defense minister, said Israel is engaged in a "war to the bitter end" against Hamas in Gaza. A war? Israel uses sophisticated attack jets and naval vessels to bomb densely crowded refugee camps and slums, to attack a population that has no air force, no air defense, no navy, no heavy weapons, no artillery units, no mechanized armor, no command and control, no army, and calls it a war. It is not a war. It is murder. The U.N. special rapporteur  for human rights in the occupied Palestinian territory, former Princeton University law professor Richard Falk, has labeled what Israel is doing to the 1.5 million Palestinians in Gaza "a crime against humanity." Falk, who is Jewish, has condemned the collective punishment of the Palestinians in Gaza as "a flagrant and massive violation of international humanitarian law as laid down in Article 33 of the Fourth Geneva Convention." He has asked for "the International Criminal Court to investigate the situation, and determine whether the Israeli civilian leaders and military commanders responsible for the Gaza siege should be indicted and prosecuted for violations of international criminal law." Falk's unflinching honesty has enraged Israel. He was banned from entering the country on Dec. 14 during his attempt to visit Gaza and the West Bank. "After being denied entry I was put in a holding room with about 20 others experiencing entry problems," he said. "At this point I was treated not as a U.N. representative, but as some sort of security threat, subjected to an inch-by-inch body search, and the most meticulous luggage inspection I have ever witnessed. I was separated from my two U.N. companions, who were allowed to enter Israel. At this point I was taken to the airport detention facility a mile or so away, required to put all my bags and cell phone in a room, taken to a locked, tiny room that had five other detainees, smelled of urine and filth, and was an unwelcome invitation to claustrophobia. I spent the next 15 hours so confined, which amounted to a cram course on the miseries of prison life, including dirty sheets, inedible food, and either lights that were too bright or darkness controlled from the guard office." The foreign press has been, like Falk, barred by Israel from entering Gaza to report on the destruction. Israel's stated aim of halting homemade rockets fired from Gaza into Israel remains unfulfilled. Gaza militants have fired more than 100 rockets and mortars into Israel, killing four  people and wounding nearly two dozen more, since Israel unleashed its air assault. Israel has threatened to launch a ground assault and has called up 6,500 army reservists. It has massed tanks on the Gaza border and declared the area a closed military zone. The rocket attacks by Hamas are, as Falk points out, also criminal violations of international law. But as Falk notes, "... such Palestinian behavior does not legalize Israel's imposition of a collective punishment of a life- and health-threatening character on the people of Gaza, and should not distract the U.N. or international society from discharging their fundamental moral and legal duty to render protection to the Palestinian people." "It is an unfolding humanitarian catastrophe that each day poses the entire 1.5 million Gazans to an unspeakable ordeal, to a struggle to survive in terms of their health," Falk has said of the ongoing Israeli blockade of Gaza. "This is an increasingly precarious condition. A recent study reports that 46 percent of all Gazan children suffer from acute anemia. There are reports that the sonic booms associated with Israeli overflights have caused widespread deafness, especially among children. Gazan children need thousands of hearing aids. Malnutrition is extremely high in a number of different dimensions and affects 75 percent of Gazans. There are widespread mental disorders, especially among young people without the will to live. 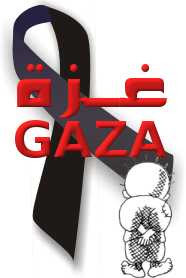 Over 50 percent of Gazan children under the age of 12 have been found to have no will to live." Before the air assaults, Gaza spent 12 hours a day without power, which can be a death sentence to the severely ill in hospitals. Most of Gaza is now without power. There are few drugs and little medicine, including no cancer or cystic fibrosis medication. Hospitals have generators but often lack fuel. Medical equipment, including one of Gaza's three CT scanners, has been destroyed by power surges and fluctuations. Medical staff cannot control the temperature of incubators for newborns. And Israel has revoked most exit visas, meaning some of those who need specialized care, including cancer patients and those in need of kidney dialysis, have died. Of the 230 Gazans estimated to have died last year because they were denied proper medical care, several spent their final hours at Israeli crossing points where they were refused entry into Israel. The statistics gathered on children-half of Gaza's population is under the age of 17-are increasingly grim. About 45 percent of children in Gaza have iron deficiency from a lack of fruit and vegetables, and 18 percent have stunted growth. "It is macabre," Falk said of the blockade. "I don't know of anything that exactly fits this situation. People have been referring to the Warsaw ghetto as the nearest analog in modern times." "There is no structure of an occupation that endured for decades and involved this kind of oppressive circumstances," the rapporteur added. "The magnitude, the deliberateness, the violations of international humanitarian law, the impact on the health, lives and survival and the overall conditions warrant the characterization of a crime against humanity. This occupation is the direct intention by the Israeli military and civilian authorities. They are responsible and should be held accountable." The point of the Israeli attack, ostensibly, is to break Hamas, the radical Islamic group that was elected to power in 2007. But Hamas has repeatedly proposed long-term truces with Israel and offered to negotiate a permanent truce. During the last cease-fire, established through Egyptian intermediaries in July, Hamas upheld the truce although Israel refused to ease the blockade. It was Israel that, on Nov. 4, initiated an armed attack  that violated the truce and killed six Palestinians. It was only then that Hamas resumed firing rockets at Israel. "This is a crime of survival," Falk said of the rocket attacks by Palestinians. "Israel has put the Gazans in a set of circumstances where they either have to accept whatever is imposed on them or resist in any way available to them. That is a horrible dilemma to impose upon a people. This does not alleviate the Palestinians, and Gazans in particular, for accountability for doing these acts involving rocket fire, but it also imposes some responsibility on Israel for creating these circumstances." Israel seeks to break the will of the Palestinians to resist. The Israeli government has demonstrated little interest in diplomacy or a peaceful solution. The rapid expansion of Jewish settlements on the West Bank is an effort to thwart the possibility of a two-state solution by gobbling up vast tracts of Palestinian real estate. Israel also appears to want to thrust the impoverished Gaza Strip onto Egypt. Dozens of tunnels had been the principal means for food and goods, connecting Gaza to Egypt. Israel had permitted the tunnels to operate, most likely as part of an effort to further cut Gaza off from Israel. This ended, however, on Sunday when Israeli fighter jets bombed over 40 tunnels along Gaza's border with Egypt. The Israeli military said that the tunnels, on the Gaza side of the border, were used for smuggling weapons, explosives and fugitives. Egypt has sealed its border and refused to let distraught Palestinians enter its territory. "Israel, all along, has not been prepared to enter into diplomatic process that gives the Palestinians a viable state," Falk said. "They [the Israelis] feel time is on their side. They feel they can create enough facts on the ground so people will come to the conclusion a viable state cannot emerge." The use of terror and hunger to break a hostile population is one of the oldest forms of warfare. I watched the Bosnian Serbs employ the same tactic in Sarajevo. Those who orchestrate such sieges do not grasp the terrible rage born of long humiliation, indiscriminate violence and abuse. A father or a mother whose child dies because of a lack of vaccines or proper medical care does not forget. A boy whose ill grandmother dies while detained at an Israel checkpoint does not forget. A family that loses a child in an airstrike does not forget. All who endure humiliation, abuse and the murder of family members do not forget. This rage becomes a virus within those who, eventually, stumble out into the daylight. Is it any wonder that 71 percent of children interviewed at a school in Gaza recently said they wanted to be a "martyr"? URL to article: http://www.commondreams.org/view/2008/12/30-11 The link has all the hyperlinks. I can not start to explain the pain we all feel for Gaza. While we all try to find words to do so, I will allow a friend on the ground to speak in his own voices below. Then, I share with you one of Israel's sick scare tactics...imagine the 60% of Gaza's population that may answer this call are below the age of 15! Now you tell me, what respectful country allows spys to walk home free?! The international community must find a way to deal with Israel's continued belligerence and outright audacity in bombing the life out of Gaza. It is virtually meaningless when the Israeli government states that it is not deliberately targeting civilians in its air raids after having condemned them to a desperate and morbid humanitarian crisis. Even the Middle East Quartet – of the UN, EU, US and Russia – will not have fully functioned until its representatives have come here. It is a moral requirement that they witness how Gaza has for so long been engineered into a hell on earth. On 4 November, more than a month before the stated end of the truce, the Israeli army's incursion into Gaza drew renewed rocket fire and signalled the end of the ceasefire. Israel's Defence Minister, Ehud Barak, then offered Gaza two unfair choices. It would either be a dehumanising siege with bombs and rockets or a dehumanising siege with trickles of supplies under a ceasefire. These two scenarios clearly produce no benefit for ordinary people. I often feel guilt that the plight of Gaza has received significant attention when other impoverished spots have not. Palestine possesses the infrastructure for a decent life. But that is simply short-circuited by Israel and aided by the international community's reluctance to challenge it. The positive aspects of the British Government's practical measures to express its condemnation of continued Israeli settlement expansion in the West Bank must be acknowledged. Its encouragement of Arab states to more effectively support reconciliation between Fatah and Hamas is only fair. Likewise, US President-elect Barack Obama could feasibly use Washington's power to get the Quartet to engage with Gaza's plight, to see how Israel is manipulating vital supplies and to witness the devastating consequences first hand. As Israel is hyperactive in punishing Gaza, it is also intent on convincing the world of its interest in peace. But it is pursuing not only a strategy of fruitless negotiating, but more dangerously – one of diluting initiatives so that they become unbinding and worthless. Israel's repeated sacrificing of peace for its security must be stopped before any credible peace plan for the Middle East can be implemented. Distractions – be they an extension of the truce with Hamas or the tragic military operations – are just that: distractions. I am safe, and yet I feel like a walking dead person. Everything around me shows it. It is hard to write something of any coherence while exposed to cold winter air and to the smell that lingers after the detonation of Israeli bombs. They must have been massive. During the bombing I opened all the windows around my apartment to avoid them imploding as a result of the vacuum shocks sweeping through Gaza City after each enormous bang. While the bombing continued, I jumped down two flights of stairs to my father's house, to make sure he was OK. Should I open up all his windows too? That would expose the old man to the risk of illness. We have no medical care or medication. However, the risk from shattering glass was greater, so I opened them all. Mobile phones did not work, because of electricity outages and the flood of attempted calls. I flipped the electricity generator on so that we could watch the news. We wanted to understand what was going on in our own neighbourhood. However, this was impossible. Israeli surveillance drones flew overhead, scrambling the reception. All I could do was step outside, where I found crowds of frantic people, lines of rising smoke and the smell of charred buildings and bodies that lay around targeted sites nearby. Somebody said the bombs had been launched in parallel raids over the entire Gaza Strip. What was the target here? Perhaps a police station about 200 metres away. Other bombs annihilated blocks less than a kilometre away, where one of the main police training centres stood. When the strikes began, a graduation ceremony for more than 100 recruits in a civil law enforcement programme was under way. These were the young men trained to organise traffic, instil civil safety and maintain law and order. Many of them were killed, it is said, in addition to the Gaza Strip's police chief. News came by word of mouth. There had been more than 150 deaths and more than 200 people were injured or missing under rubble after the first two hours of bombing. Israel had said it would continue the offensive and deepen it if necessary. Likewise, it was said that Hamas had launched more rockets at southern Israeli towns, causing one death and four injuries. Gaza had never seen anything like the numbers of dead bodies lying on its streets. Hospital morgues were already full. The dead were piled on top of each other outside. Bombs targeting a Hamas security force building badly damaged an adjacent school, and several children were injured. We heard of many other targets around the Gaza Strip. It reminds me of the "shock and awe" campaign the Allies launched over Baghdad in 2003. But shock and awe did not bring stability or peace. These bombs were launched by Israel, as we had known they would be. The world watched the situation simmer then boil over, but did nothing. There are some who believe that hell is divided into different classes. The ordinary people of Gaza have long been caught in the tormenting underworld. Now, if the world does not heed what has happened here, our situation will worsen. We will be trapped in the first class of hell. As the bombs rocked Gaza City, the telephone in the apartment where Mohammed was holed up with eight members of his family rang. When he picked it up, he heard a recorded voice similar to the automated sales pitches used by telemarketing companies. “It said that if I was hiding weapons or terrorists, my house would be bombed,” Mohammed, 26, a teaching assistant, said. The software engineer, who gained his master’s degree at the University of York, had been trying to leave home for six months to study for a PhD in Turkey, but Israel had denied him permission to leave. Now it was telling him to flee, but there was nowhere to go. Such phone calls have become common across the Gaza Strip, in what many see as a new stage in the psychological campaign to destabilise the Hamas-controlled territory. The messages vary, spreading fear and confusion, according to Sari Bashi, of the Israeli human rights organisation Gisha. Some tell people that they must leave their homes immediately to avoid being harmed; others are similar to the warning received by Mohammed. Some are direct threats: “Leave your house; it will be bombed soon.” The calls are causing such panic that the Palestinian phone company has issued its own recorded messages telling people to ignore the Israeli threats. Mohammed thought that the calls may be an attempt by Israel to cover itself in the event of civilian homes being hit. “They are doing this to show they are taking care in case civilians are hit, but clearly they are not taking care. Hundreds of people have died, many of them civilians and even children,” he said. An Israeli military spokesman declined to comment on the calls. Ms Bashi said that the tactic was a clear case of psychological warfare being waged against civilians. “Gaza isn’t comparable to the wars in Leba-non or even in Sderot [the Israeli town that has borne the brunt of Palestinian rocket fire from Gaza]. In Gaza, the bombing is widespread throughout a narrow, densely populated strip of land whose borders are sealed. You’ve nowhere to go,” she said. The Israeli telephone messages give no indication of where people may find shelter. “If the message is that people are being given a chance to leave their homes, well, there’s nowhere to go,” Ms Bashi said. Many people who receive the messages are too scared to tell neighbours of the warning for fear that they will be branded as Israeli collaborators who have received a tip-off. That can cost you your life in Gaza. One family received a telephone message that their house was about to be bombed and fled without informing their neighbours, Ms Bashi said. When the house was attacked, the neighbours were furious that they had not been warned by the family. Hamas has said that the Israeli bombardment has wounded the Israeli soldier whom it has been holding prisoner at an undisclosed location since a cross-border raid in the summer of 2006. Hamas officials told Israeli and Egyptian media that Corporal Gilad Schalit had been hurt, but did not elaborate on his injuries. The Israeli army prides itself on its policy of never leaving a man behind, alive or dead, and in the past has released hundreds of prisoners to secure the remains of fallen soldiers. “We were expecting there’d be all sorts of rumours and reports about Gilad,” an Israeli army official said. “We approached the family beforehand and warned them what to expect.” The army is suspicious of the reports, believing that the soldier is too important an asset for Hamas to allow any harm to come to him. It could not, however, discount the reports. “Anything is possible,” the army official said. Being a health worker, I had to check the needs of Shifa hospital and the other hospitals in Gaza. The situation in Shifa is really bad. There were corpses in corridors covered with blankets. The mortuary couldn't cope with the number of bodies. Two bodies were left on stretchers, one wrapped in a blanket. They leave them until families can recognise them. There were mothers, fathers looking for children, looking for relatives. Everyone was confused and seeking support. Mothers were crying, people were asking about relatives, the medical team was confused. Some people were just lying there, some were screaming, some were very, very angry. There were a lot of injured arriving, ambulances coming in and out. The injured were coming by private cars and they were being left wherever. You could see blood here and there. There is talk [the Israeli air strikes] were targeting the police and security forces but in Shifa hospital, I saw many, many civilians, some dead, some injured, some were children, some were women, some were elderly people. The doctors and nurses were trying to do their best. They discharged all the patients from the chronic diseases ward and from the oncology ward to make way for the injured. They were using whatever they could. There's no gauze so they are using cotton, which sticks to the wounds. They can't sterilise clothes for the operating theatre. They're using wrong sized syringes. They're working 24 hours. They're referring cases from one hospital to the next. One hospital was running out of anaesthesia. They're also drawing blood and there's no alcohol. This is a disaster. If Gaza falls . . .
And lastly, the article that caused the UN Special Rapporteur on the situation of human rights in the Palestinian Territories to be DENIED ENTRY to Israel 2 weeks ago...he was predicting exactly what we are seeing today...more death and destruction and occupation. Yet another live example of the Apartheid that Israel has become -- inside Israel that is. During the presidential campaign, Barack Obama said he would convene a conference of Muslim leaders from around the world within his first year in office. Recently aides have said he may give a speech from a Muslim capital in his first 100 days. His hope, he has said, is to "make clear that we are not at war with Islam," to describe to Muslims "what our values and our interests are" and to "insist that they need to help us to defeat the terrorist threats that are there." This idea of trying to reconcile Islam and the West is well-intentioned, of course. But the premise is wrong. Such an initiative would reinforce the all-too-accepted but false notion that "Islam" and "the West" are distinct entities with utterly different values. Those who want to promote dialogue and peace between "civilizations" or "cultures" concede at least one crucial point to those who, like Osama bin Laden, promote a clash of civilizations: that separate civilizations do exist. They seek to reverse the polarity, replacing hostility with sympathy, but they are still following Osama bin Laden's narrative. Instead, Obama, the first "post-racial" president, can do better. He can use his power to transform perceptions to the long-term advantage of the U.S. The page he should try to turn is not that of a supposed war between America and Islam, but the misconception of a monolithic Islam being the source of the main problems on the planet: terrorism, wars, nuclear proliferation, insurgencies and the like. This will be an uphill battle, since this view of a monolithic, dangerous Islam has gained wide acceptance. Whether we're talking about civil war in Iraq, insurgency in Afghanistan, unrest in Kashmir, conflict in Israel-Palestine, nuclear ambitions in Iran, rebellion in the Philippines or urban violence in France, people routinely - but wrongly - single out Islam as the explanation, rather than nationalism or separatism, political ambitions or social ills. This in turn reinforces the idea of a global struggle. Even the recent attacks in Mumbai, India, cannot be seen primarily through the prism of religion. What the terrorists and supporters of Lashkar-e-Taiba, the Pakistani militant group believed to have carried out the attacks, have achieved is to make normal relations between India and Pakistan impossible for the foreseeable future. Such groups have always used regional conflicts like that in Kashmir to hold on to power. Islam explains very little. There are as many bloody conflicts outside of regions where Islam has a role as inside them. There are more Muslims living under democracies than autocracies. There is no less or no more economic development in Muslim countries than in their equivalent non-Muslim neighbors. And, more important, there exist as many varieties of Muslims as there are adherents of other religions. This is why Obama should not give credence to the existence of an Islam that could supposedly be represented by its "leaders." Who are these leaders anyway? If Obama picks heads of state, he will effectively concede bin Laden's point that Islam is a political reality. If he picks clerics, he will put himself in the awkward position of implicitly representing Christianity - or maybe secularism. In any case, he would meet only self-appointed representatives, most of them probably coming from the Arab world, where a minority of Muslims live. And such a conference would have negative effects for Western Muslims. By lending weight to the idea of a natural link between Islam and terrorism, it would reinforce the perception that they constitute a sort of foreign body in Western societies. Most Western Muslims want first and foremost to be considered as full citizens of their respective Western country, not part of any diaspora. And most of them share the so-called Western values. If the idea of a Muslim summit meeting should be dropped, then what should Obama do? No more - but also no less - than carrying out the ambitious program he put forward during the campaign: closing the prison at Guantánamo Bay, withdrawing from Iraq, banning torture, pushing for peace in the Middle East and so forth. These are not in any sense concessions to "Islam," but on the contrary a reassertion that American values are universal and do not suffer any kind of double standard, and that they could be shared by atheists, Christians, Muslims and others. Obama should also put more faith in the capacity of the rest of the world to recognize that America has turned the page on eight catastrophic years. After all, Americans have just elected a president whose middle name is Hussein. That name goes a long way with many Muslims. Olivier Roy is a visiting professor at the University of California at Berkeley. Justin Vaisse is a senior fellow at the Brookings Institution. Those of you who have been subscribed to the ePalestine list for some time know that I make financial appeals very, very infrequently, albeit the needs here are many times overwhelming. Yet, my assumption is that all of you are doing what you can in your localities. However, this post is one of those exceptions. I am personally appealing to all of you to lend a hand to assist the first true Palestinian Community Foundation, Dalia Association, which I am a founding board member and donor. * Dalia Association is a community foundation that promotes Palestinian-led social change and sustainable development, particularly in the Palestinian homeland (1948 areas, West Bank, including East Jerusalem, and Gaza Strip). * Dalia Association concerns itself with the sustainability of civil society activities, whether led by registered or unregistered groups, individuals or private sector entities. It works particularly at the grassroots, with people who are addressing their own needs using local resources, creatively and with long-term commitment. * Dalia Association promotes the development of philanthropy and volunteerism and its prerequisites, such as, trust in institutions (good governance), adequate regulatory and administrative infrastructure for philanthropy, and recognition of local initiative and leadership. It cares that all Palestinians have the chance to become donors, at any level of contribution, thus resisting the giver-receiver power imbalance. That said, the donor community still dominates our society as we struggle to relieve ourselves from the dependence they instill. The challenge is daunting and we need your help. Note that contributions are tax deductible in the United States. Please be as generous as can be, knowing these are turbulent economic times. You may give at Dalia Association. P.S. Please pass this on to other individuals and organizations that you think may be interested in tangibly contributing to Palestinian steadfastness. An indictment was filed with the Jerusalem District Court Monday against 26-year-old Zvi Struk from Shiloh, charging him with the abuse of a number of Palestinian youths and the kidnapping of one of them. The indictment states that five months ago the defendant, son of Yesha Human Rights Organization head Orit Struk, arrived at an outpost located between Shiloh and Kfar Kusra in the West Bank. He arrived on a mini tractor and began to chase the youths on the scene. The youths attempted to escape, but Struk cornered one of them and his friend, armed with Struk's M-16 rifle, alighted and began to fire in the air. According to the prosecution, Struk then began to beat the boy, who had put his hands up in surrender, and knocked him to the ground. The indictment goes on to say that Struk's friend continued to beat the boy while he chased another youth, beat him, and dragged him to the mini tractor bleeding. He then proceeded to blindfold and tie him to the tractor, and rode off with his hostage in tow. The prosecution claims that the boy lost consciousness during the ride, and was brought to an open field where the two suspects beat him, undressed him, and left him blindfolded and tied. He remained there for a number of hours, until he managed to untie himself and find a car to take him home. The boy was hospitalized in Nablus, and diagnosed with multiple contusions and lesions all over his body. Struk had attacked the boy two months earlier, the indictment states, while the latter was herding sheep with a friend near the village. Struk told them to leave the land, claiming it was his, and then beat the two boys. Struk's attorney, Haim Cohen, told Ynet in response that "a hearing will take place mid- January before the District Prosecution and I believe that afterwards the charges will be dropped." A full year after the Annapolis process began and with only two weeks before the end of 2008 – the target date for reaching a comprehensive Palestinian-Israeli agreement – one cannot but be disappointed that Palestinians and Israelis have yet to reach their shared goal of lasting peace. We Palestinians had also hoped that we would have had more to show on the ground for our commitment to the peace process. Since the Annapolis conference was held in November 2007, Palestinian frustrations have mounted as Israel has accelerated its settlement construction in the occupied Palestinian territory, increased its demolition of Palestinian homes and intensified its siege of Gaza, all in violation of international law and recently renewed commitments. Nevertheless, the Palestinian Authority remains steadfast in its peaceful pursuit of independence. Central to our approach is the idea that economic development is critical to the success of our state-building project. That is why events such as the Palestine Trade & Investment Conference, which opens in London on Monday, are so important. Economic development is crucial to demonstrate to our people, particularly our youth, that diplomacy delivers what violence does not. Weariness with a seemingly endless peace process has caused many Palestinians to question the value of negotiations. Since the Oslo accords were signed in 1993, conditions have worsened for ordinary Palestinians. The Israeli settler population in the occupied territory has doubled; segregated road systems have been developed, roadblocks and checkpoints erected, olive groves torched; and an ugly wall is now snaking its malevolent way through the West Bank. If the Annapolis process is to succeed, this pattern will have to be reversed. We are fighting to keep our people on the land: improving the plight of those hardest hit by the occupation; encouraging those who have the means to leave to stay; and enticing those in the diaspora to invest in their country. That is why the PA is working diligently to restore law and order and to bring economic stability and prosperity to the Palestinian people where we can as fast as we can. Our reform and development plan includes investment in relatively low-cost, quick-impact community development projects. Their popularity has surpassed my expectations. They began with a budget of $36m (€27m, £24m). This has now swelled to $273m as more communities learn of the success of the projects and request their own. We now have 1,100 projects at various stages of implementation, with 300 already complete. These initiatives have yielded other, less anticipated outcomes. Community residents are coming together in town hall meetings to discuss and agree upon the projects that they need to improve their lives. Companies are then being recruited in transparent bidding processes to turn plans into reality. In turn, community-level decisions are informing and shaping our national development plans, compelling regular reassessments and readjustments. Thus, an exercise in democracy, ownership and empowerment is under way. While the PA is committed to creating the conditions conducive to private investment, only the private sector can propel Palestine into sustainable economic growth. This will require the removal of Israeli restrictions on Palestinian movement. Nevertheless, Palestinian enterprises have already demonstrated a remarkable ability to withstand, and even excel in spite of, the adversity created by Israeli settlement and occupation policies. None of the PA’s development projects would have been possible without the interest and support of international donors and investors. But if foreign investment is to be effective, it must also be responsible. Companies that trade with Israeli settlements or invest in settlement expansion are doing bad business: not only are they missing a golden opportunity to profit from Palestinian enterprise and expertise, they are also severely undermining our attempts to secure a viable two-state solution by supporting the obstacles that impede that objective. Nevertheless, a word of caution is required. Sound economics alone will not bring peace and security to our region. Ours is a political conflict, and it requires a political solution. There is no economic substitute for attaining – and implementing – a just peace agreement. Focusing on so-called “economic peace” – instead of actual peace – simply won’t cut it. Economic growth, no matter how important, cannot quell the Palestinian people’s determination to reach freedom and independence. At the end of the day, development and peace are mutually reinforcing: economic growth is necessary to propel the peace process forward, while both Israel and Palestine stand to benefit from greater investment and tourism once a peaceful, stable environment is secured. The path to peace is strewn with risks. But if we join together to take those risks, and invest in the future, we will all reap the rewards. GENEVA, December 14, 2008 (WAFA)- Israeli Occupation Authorities held, Sunday, United Nations Special Rapporteur on the situation of human rights in Palestinian Territory occupied since 1967 Professor Richard Falk, and is willing to deport [him] to Geneva, Monday morning. Permanent Observer Mission of Palestine to the United Nations in Geneva said in a press release issued few hours ago, that the Israeli Occupation Authorities have denied the UN Special Rapporteur into the Palestinian Territory and Israel . The press release explained that Falk was coming to detect Israel 's violations of the International and the International Humanitarian Laws in the OPT. At his arrival, Israeli Authorities denied his access into Israel and held him in the immigration section in Ben Gurion Airport in Tel Aviv. Israeli Occupation Authorities are to deport him to Geneva Monday morning. This is Falk's first official visit to the OPT and Israel , after he was appointed by the UN Human Rights Council (UNHRC). He is currently working on a report about the human rights conditions in the OPT to raise it to the UNHRC tenth session in March 2009. 2) a foreign teacher's short eyewitness documentary while visiting occupied Palestine. A peek inside the Palestinian city of Nablus, which has been battered by the Israeli occupation over the past 5+ years. I have just finished editing a documentary about my 5 weeks in Nablus and the West Bank during summer 2008. It tells the story of people (Palestinians and Internationals) living under a strict occupation. It mainly takes place in Nablus, biggest city of the West Bank, surrounded by checkpoints, facing Israeli army incursions day and night, where the unemployment rate has skyrocketed in the last few years and where many people now live under the poverty line. Those people need us to act NOW to stop this vicious occupation and collective punishment. Any feedback welcome. Feel free to share it with others.